Discounts are summed up at the Moscow Jewelry Factory! 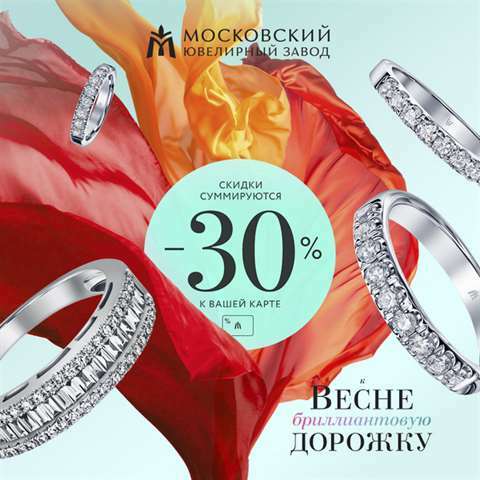 Only from 01 through 05 May 2019 the Moscow Jewelry Factory offers you an additional discount −30% to your loyalty card. 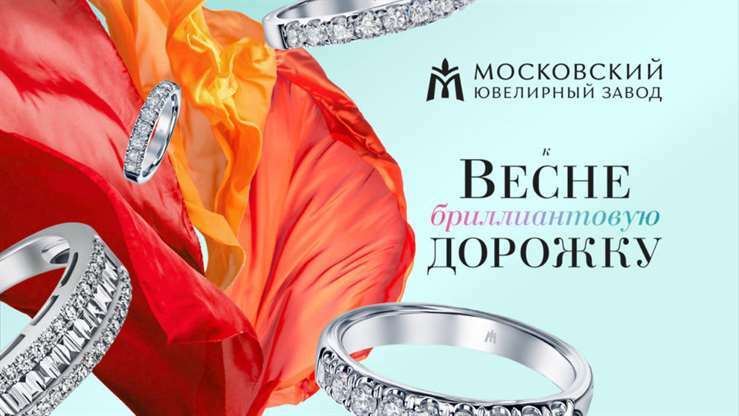 The event «Factory discount» is effective in all stores of the Moscow Jewelry Factory and applies to a special selection of gold and platinum items with precious stones. To receive the discount you have to present or issue a loyalty card of the MJF.